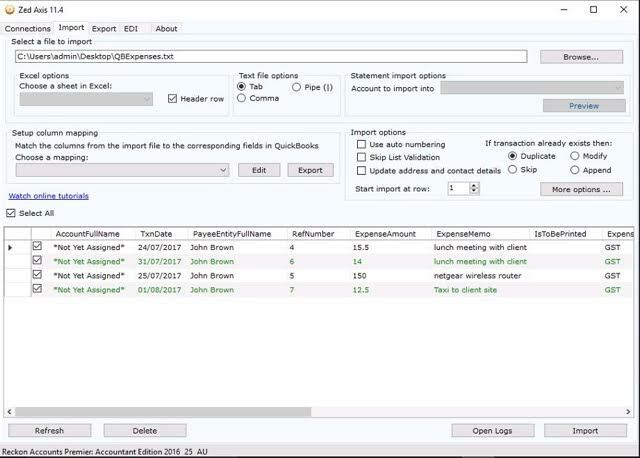 The QuickBooks Integration Module lets you integrate Intertec TimePro with QuickBooks for invoicing and payroll processing. With Intertec TimePro’s QuickBooks Integration Module, you can automate the process of creating Invoices, Bills, Timesheets and Cheques in QuickBooks, using time records captured in Intertec TimePro web timesheets. To provide our Clients with maximum flexibility and compatibility we have partnered with Zed Systems who specialise in developing QuickBooks data utilities. 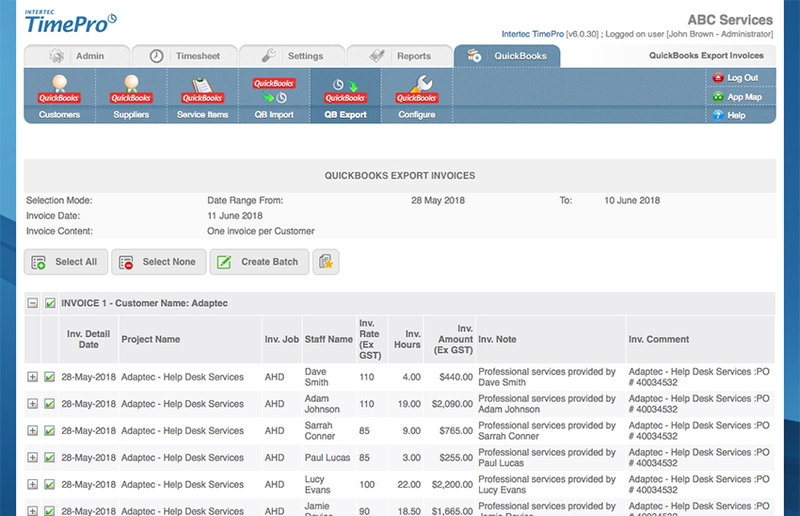 Using their Zed Axis module coupled with our custom pre-defined data mappings, we connect and integrate with Intuit's QuickBooks Desktop and QuickBooks Online solutions. When you purchase Intertec TimePro Hosted or In-House, you can choose to include our QuickBooks Integration Module for a small additional charge. Zed Axis is trialled and purchased directly through Zed Systems, and if you mention to them that you were referred by ‘Intertec Consulting’, then you will be eligible for a 20% discount on their purchase price. * This product has not been endorsed and is not supported by QuickBooks. 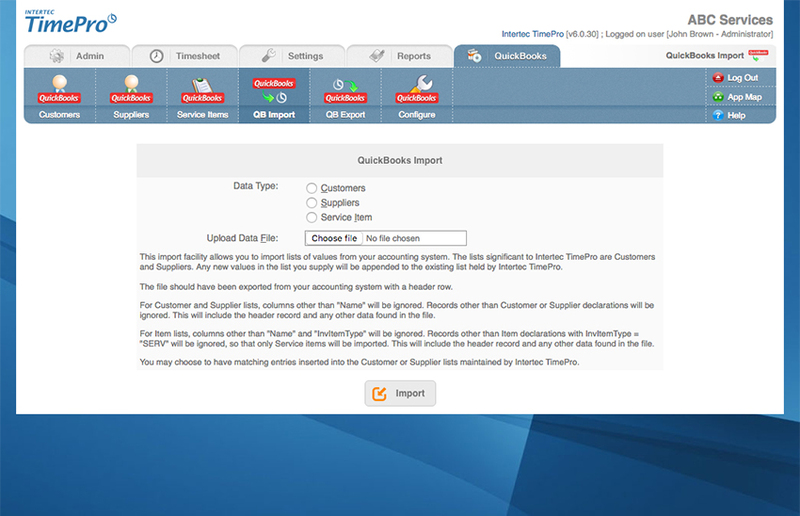 Import QuickBooks data into Intertec TimePro, including QuickBooks Customers, Suppliers and Service Items. 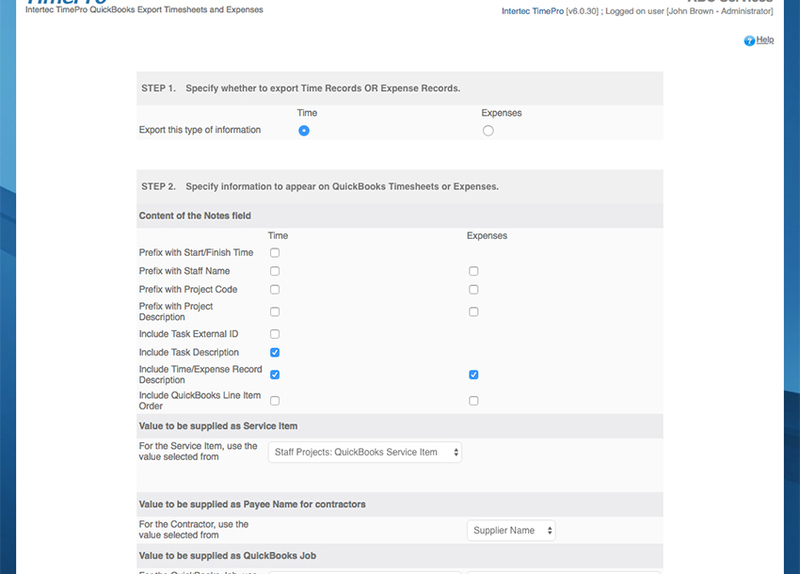 This is useful in initially setting up and configuring Intertec TimePro to match your QuickBooks records. 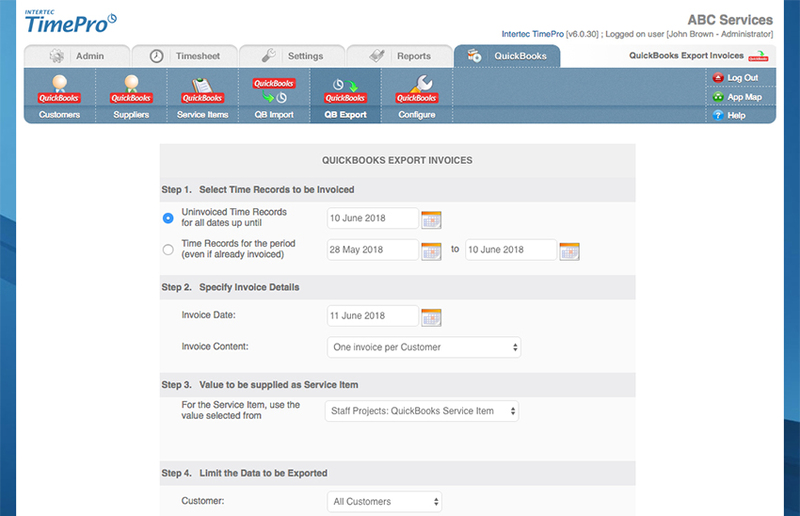 Export time records from Intertec TimePro into QuickBooks to generate QuickBooks Invoices, Bills, Timesheets and Cheques. Eliminate the need to re-enter time records into QuickBooks. Who should use the QuickBooks Integration Module? Business that use QuickBooks and are looking to streamline time recording with time billing and invoicing. Businesses wanting to integrate a web-based timesheet solution with QuickBooks’ payroll processing system.